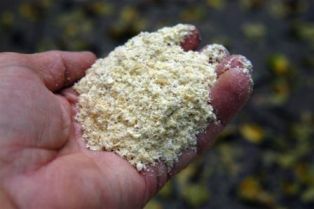 Horticultural cornmeal: This is a term I coined back in the days when Alliance Milling approached me on using their corn waste product for horticultural issues. The outside edges (bran and germ) of the corn kernels were stripped away while making the starchy endosperm products sold in grocery stores. The product worked great but they sold the company and today this form of horticultural cornmeal is no longer easily available.